KCKCC – Page 490 – Welcome to Wyandotte Daily! 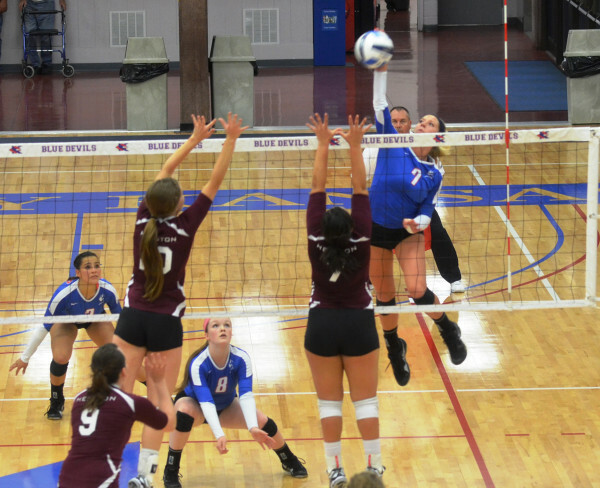 Kansas City Kansas Community College ran its volleyball winning streak to nine in a row before it came to an end in the Highland Classic Saturday. Ranked No. 12 in NJCCC Division II, the Lady Blue Devils defeated Southwestern Iowa, Cloud County and Coffeyville before falling in four sets to Indian Hills of Ottumwa, Iowa. KCKCC took a 27-25 lead in the opening set against Indian Hills before falling 26-24, 25-22 and 25-11 to fall to 9-2 for the season. 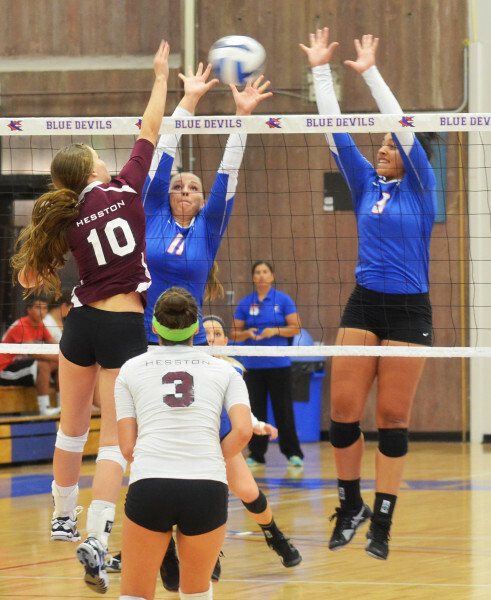 The Blue Devils opened the tourney Friday by defeating Southwestern Iowa 25-8, 20-25, 25-8, 25-15, and Cloud County 25-20, 25-21, 25-14 and then opened Saturday play by defeating Jayhawk rival Coffeyville 25-16, 25-16, 26-28, 25-23. The Lady Blue Devils stay on the road this week, playing at Longview Tuesday at 6 p.m. and then competing Friday and Saturday in the Pasco Hernando Tournament in New Port Richey, Fla. They do not return home until Wednesday, Sept. 24, when they play host to No. 3 ranked Johnson County at 6:30 p.m.
Alan Hoskins is the sports information director at KCKCC. 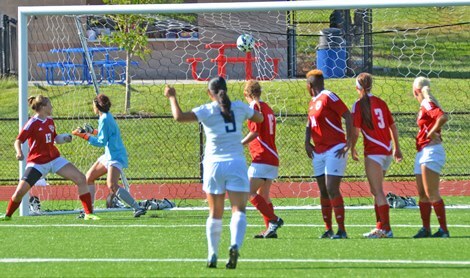 Coffeyville’s defending Jayhawk Conference co-champions spoiled Kansas City Kansas Community College’s home soccer opener Thursday with a 3-2 overtime win. The win completed a sweep by the Red Ravens, who took a 4-1 in the women’s opener. Freshmen Isai Gutierrez and Kelvin Ibarra scored the Blue Devils’ goals. Sophomore Karla Montes scored KCKCC’s lone goal, left-footing a direct kick into the back of the net. Both KCKCC teams are back in action Tuesday, facing Barton County in El Dorado with the women playing at 2 p.m. and the men at 4 p.m.
No. 12 ranked Kansas City Kansas Community College stretched its volleyball winning streak to six in a row Wednesday with a three-game sweep of Hesston. After a narrow 26-24 opening win, the Lady Blue Devils pulled away 25-21 and 21-17 for the 3-0 win in the home opener. The Blue Devils return to tournament action Friday and Saturday at Highland, Kan. KCKCC opens with Southwestern Community College at 3 p.m. Friday and then faces Cloud at 7 p.m. On Saturday, KCKCC plays Coffeyville at 9 a.m. and perennial power Indian Hills at 11 a.m.